Open Realty UK provides an Installation Service for your Open-Realty web site. Bellow you can see a range of services we offer that can be ordered and completed within Appx 3~12 hours. If reqire another service please contact us. Installation Service for Open-Realty Addons. Like us to to INSTALL your Addons to your web site!. We upload the Addon to your server, execute the install and configure the basic settings (excluding mod_rewrite). After we have reveived your order, we will get back to you to schedule the installation. We will require the login details for your FTP server to install the Addon. We will use this information for installation purposes only and delete it afterwards. We upload the Addon files via FTP to your Open Realty Addon folder. We run the install script and setup the database if needed for the Addon. Hand over the site back to you. Installation Service now ended. This service does not include any modifications of the Open Realty source code or any Open Realty extension. It further does not include any modifications of the site structure, the content or the layout of a website. We will be happy to help you creating your website or developing Open Realty addons as part of a separate service agreement. Installation Service for Open-Realty Templates. Like us to to INSTALL your template to Open-Realty web site!. Our installation service could save you a lot of time. You only need to send us the FTP data and a link to your website with the template name or you can just send us the zip files. 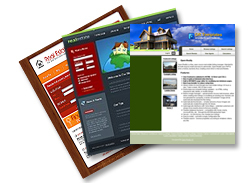 After that we be able to upload your template to your Open-Realty web site. How Long will it take? : Appx 3~12 hours, will need to test the design.